Handphones have now upgraded to have so much external functions so much so that i believe a change in name for the device from handphone to mobile mini computer. Handphones aka (mobile phone) from the past consist of very little functions. The main function of it is simply to be able to contact people. There aren't colored phones as well, cause they are seemingly useless. However messaging is there, which is not a big hit last time cause people are not used to typing to the other party. Most people find talking a faster, easier and more convenient way to establish communication. Those phones also have long lasting batteries, probably due to their little functions and 'low-quality' graphics..? Used to have 7bars of batteries, handphone nowadays have a default battery life of 3bars or more. Comparing them to handphones which we see nowadays. Having many more functions as compared to what we have last time, these handphones have great color quality, graphics, cameras with video capabilities, internet, radio stations, weather forecaster, calculator(some are even scientific calculators), alarm, bluetooth, MP3 player,memory card capabilities, video calls. Not only that. 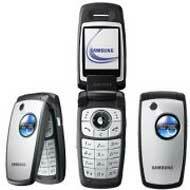 Some handphones are even designed for different purposes, such as music phone, internet phone, camera phone. They have became so advanced that the name 'handphone' does not fit them any longer. Now these phones are designed for people's entertainment, leisure, business, requirements and convenience. The battery goes flat much faster than handphones of the past. Reasons to it i believe is due to the much more functions and capabilities they have as compared to back then. Morever, phones now need to use more 'energy' as the quality have greatly improved. Also, if there is only a company producing handphones, you might not be able to see the phones we have now, as there is no competition, there is no need for them to produce such nice phone. However there are more tha 3 companies competing for customers...so what do you think? They need to produce phones which have much capabilities yet convenient and good to use. 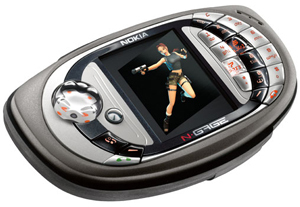 This also makes me think why N-gage was a failure in marketing, though i am not sure of whether it was really such a failure. The reason is of that it mixed handphone with a Nintendo gameboy advanced, creating a phone and a half-as-good-gameboy. It is also pricey, thus making people to not buy them. As a result, people would rather buy a Nintendo gameboy and a handphone which have other capabilities which are beneficial to them, though it might be more expensive then an N-gage, but it would be more worth it, in a sense that you get more benefits and better qualities. Moreover, the games are sold separately. 1) Prepaid card to line service. 3) From non-colored to colored. 4) Introduction to camera/video phones. 1) Line services are very useful to some people. These people often needs the phone. In their case, they pay much lesser for what could have been thousands if they have used prepaid card. Prepaid cards on the other hand, is for people who seldom uses handphone. In this case, it is cheaper for them to use prepaid card as it will only charge you when you use the features. 2) Some people love listening to radio. 3) Colored phones marked an interest in most people as it is an improvement most people had not expected, but had wanted. What i mean colored is not the handphone casing but the text, files, desktop, etc. 4) Camera/video phones is handy and efficient. I say this as obviously many people don't bring their camera with them wherever they go right? So there. 5) Internet Services greatly widens out the capabilities of the handphone. 6) Some people just love listening to music, and combining MP3 with handphone does not reduces the quality of the music. 7) Bluetooth offers FREE services, thus inviting much attention. You wouldn't want to MMS your friend a picture when you are beside him, do you? And with bluetooth, you can send files from your computer to your phone, vice versa. 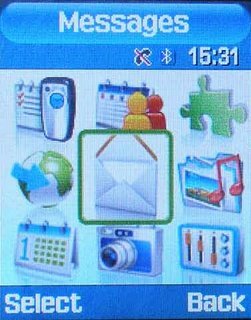 8) Memory cards applicable phones are good, in a way that you will not have to worry bout the space contrains any longer. With so many features, using a little of this and that and your memory is full. You wouldn't want that. 9) Video calls are romantic..?Though I don't think so, i think they are the source of trouble. You can't lie to your boss now. So do you think handphones should change name??? Yes i do.